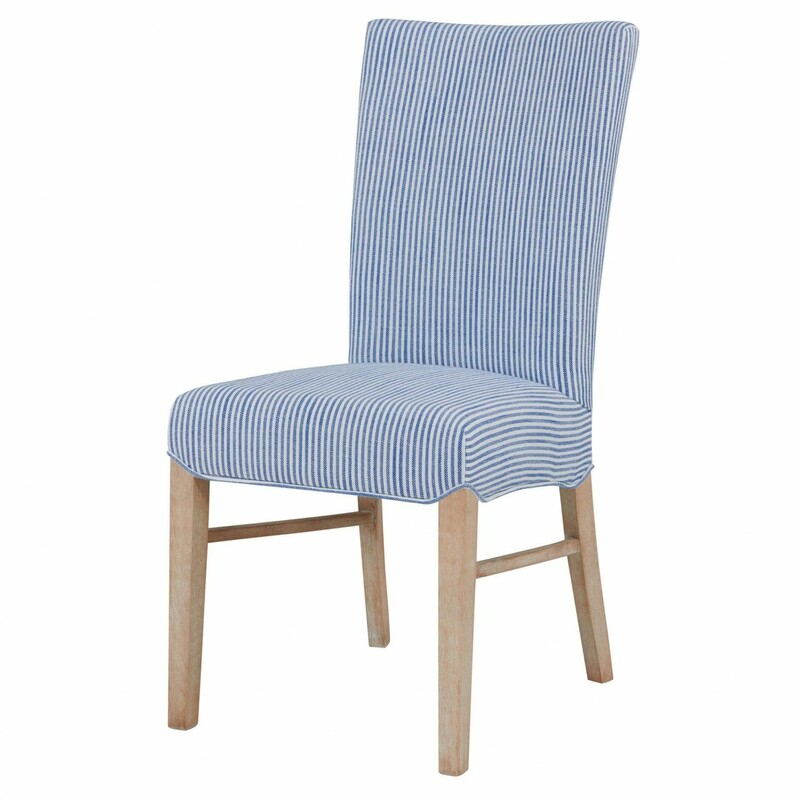 Classic Parsons style chair is understated, yet a nice complementary for the dining room. 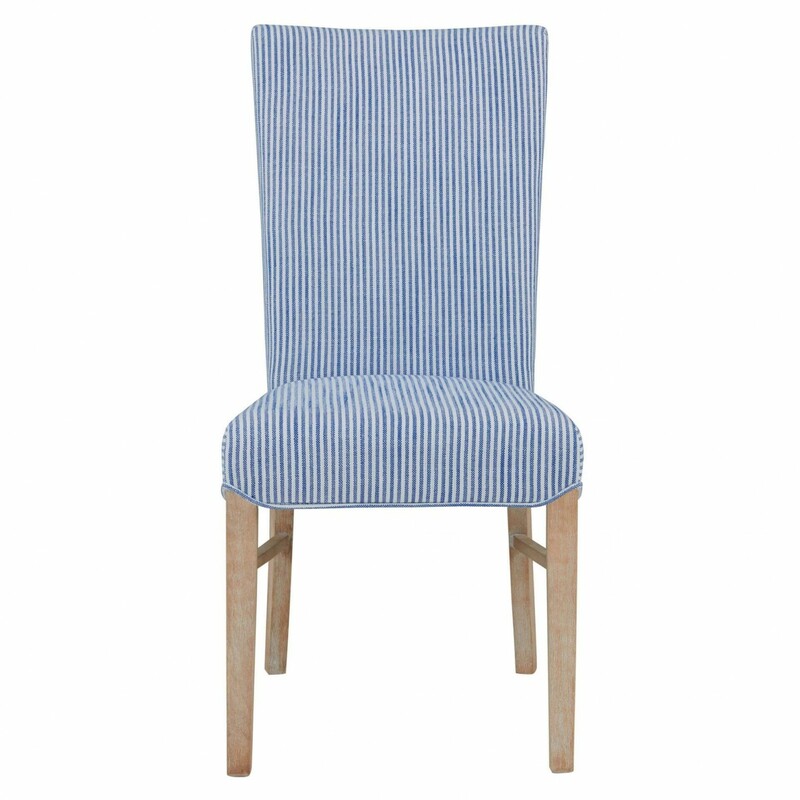 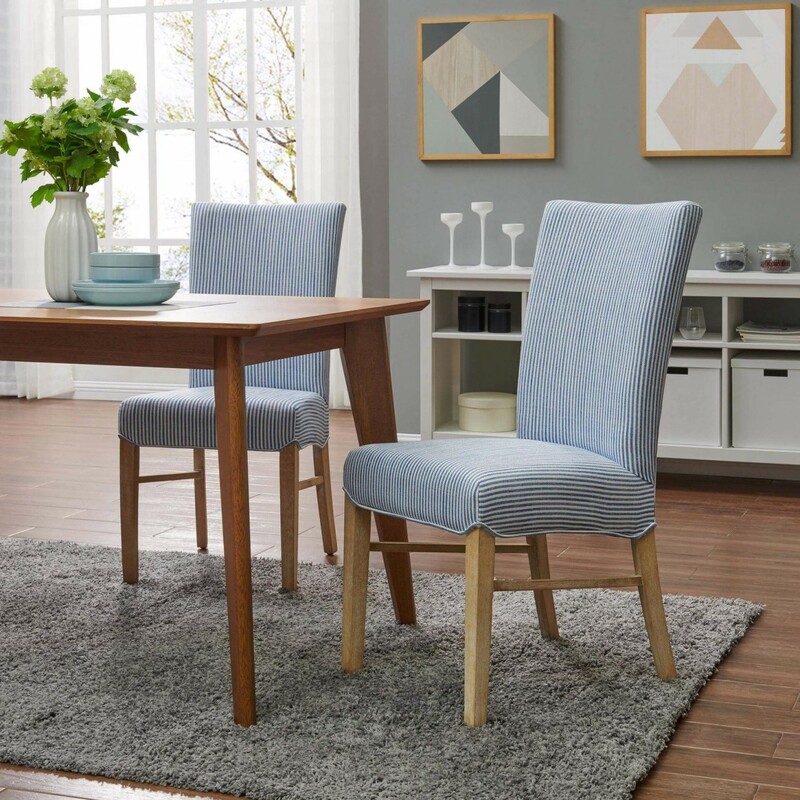 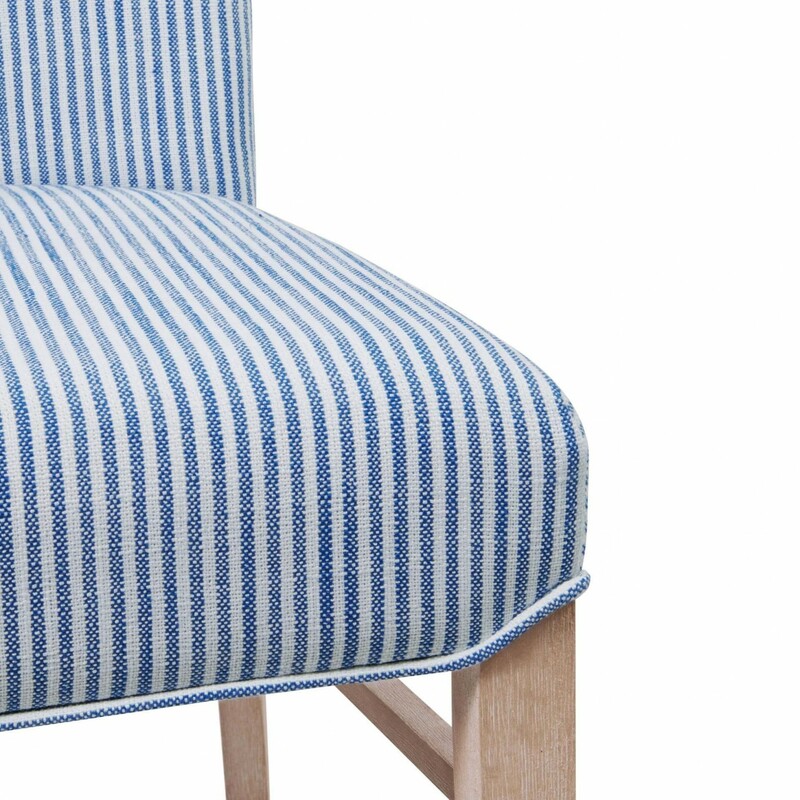 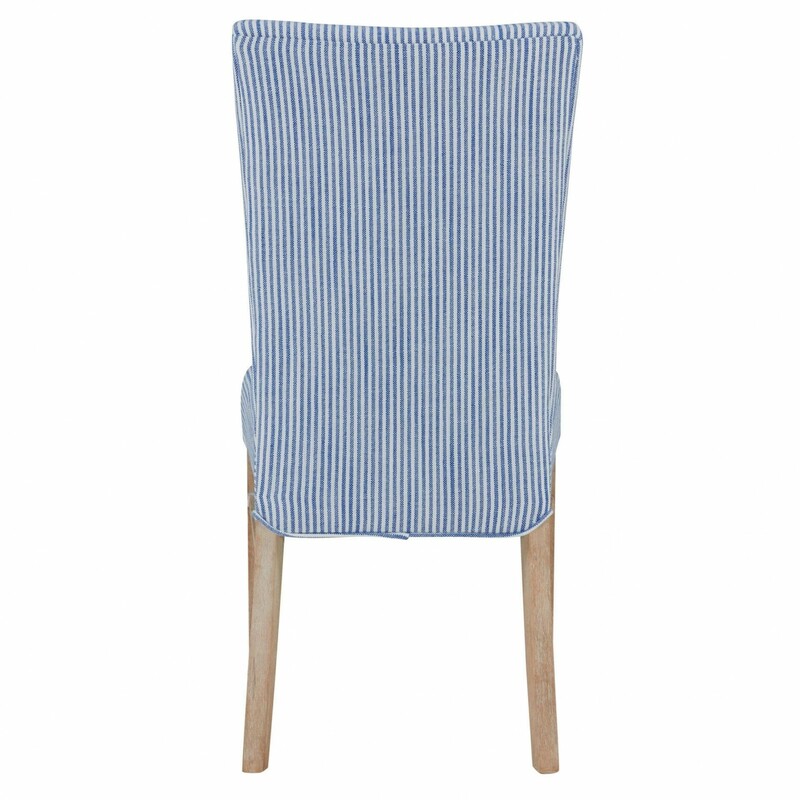 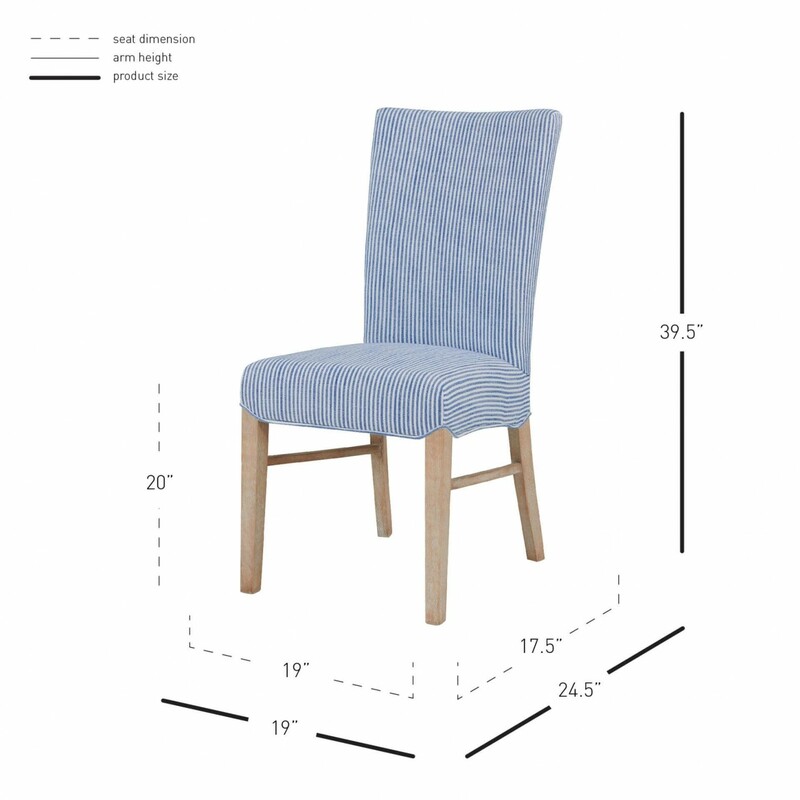 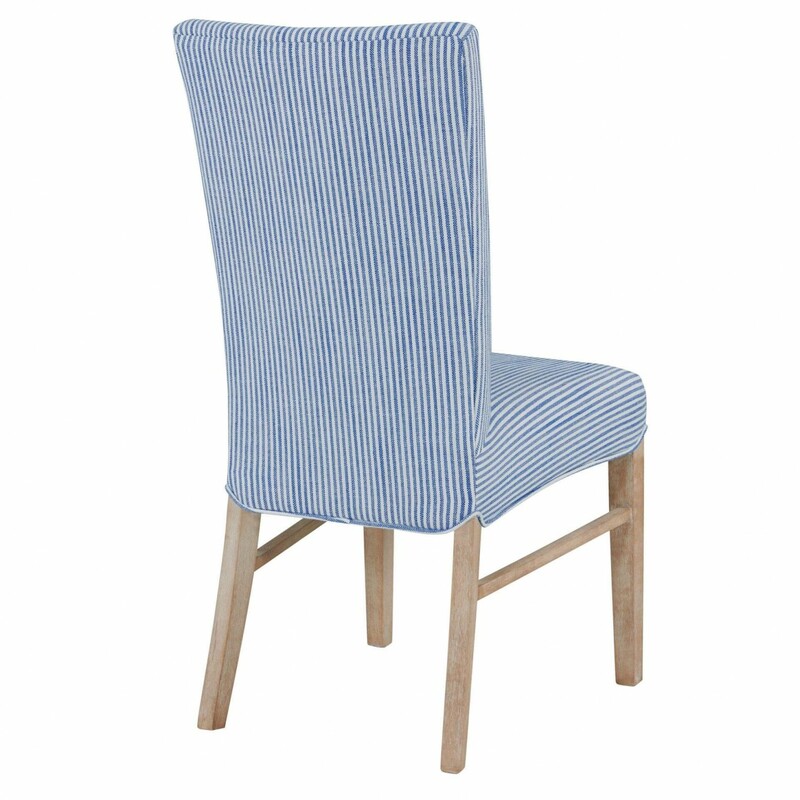 Featuring high back in Blue Stripes pattern fabric and natural wood color legs, this chair provides a clean and contemporary style. 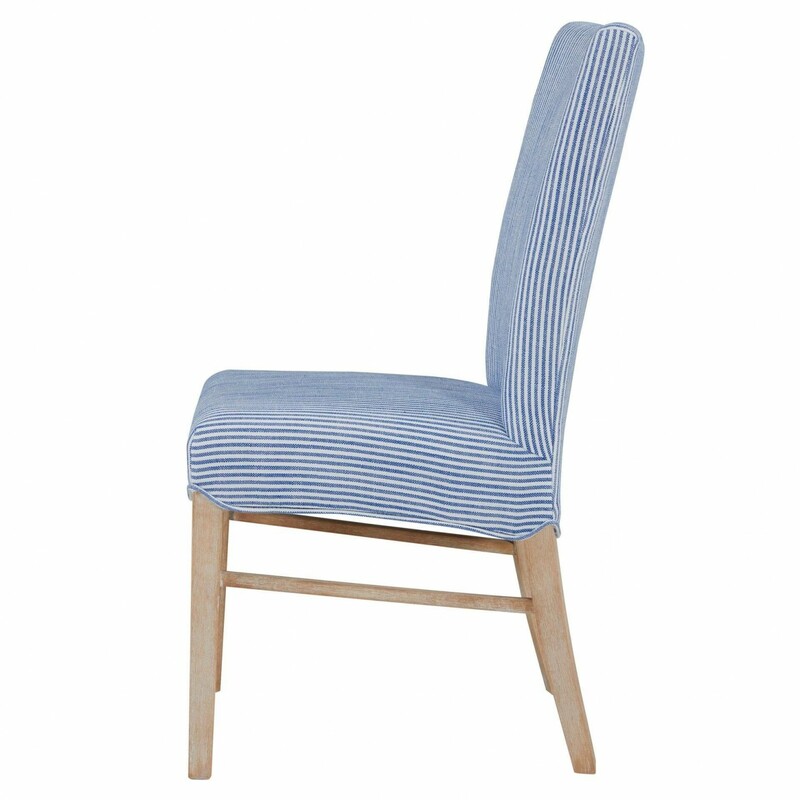 Looks great in a farmhouse or coastal modern theme interiors.